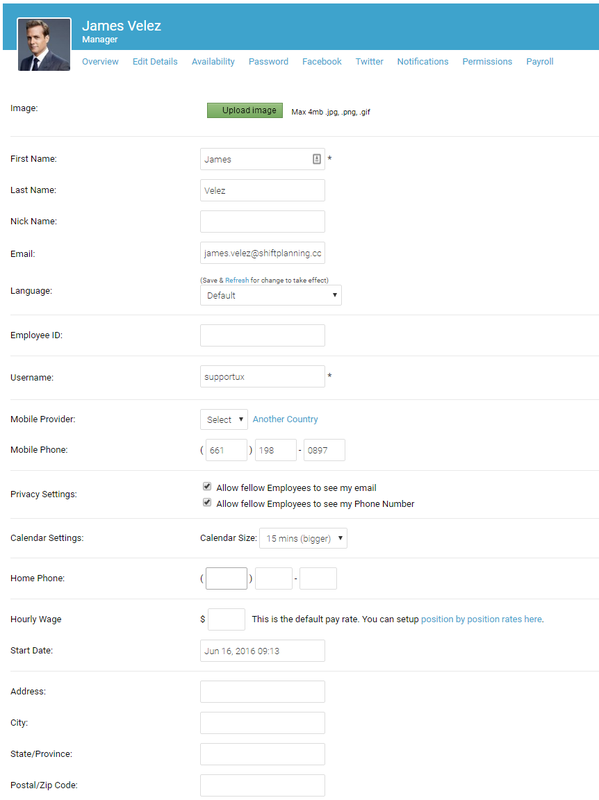 From the tab Staff, select the profile to manage the details e.g. Profile Image, Edit Profile Details, Activate accounts, set Password, Permissions, Notifications, and Payroll etc. Language if you prefer a different language for your profile only. Start Date is the date employee started to work for your company. Employees can be sorted by the 'Start Date' in Vacation Requests, the Shift Edit window, Availability/Unavailability Report. Click the Human Icon showing at the top right of the shift edit window in order to sort the available staff by Start date. TimeZone let you set up a timezone different than company's default one. e.g. company has remote employees working from another region, they can set their local timezone in their profiles to reflect time accurately. Location, assigning location here will make sure that your staff member follow the timezone set for location, in absence of profile timezone. Minimum Weekly Hours: Here you can set the minimum weekly hours which when violated a scheduling conflict will show. 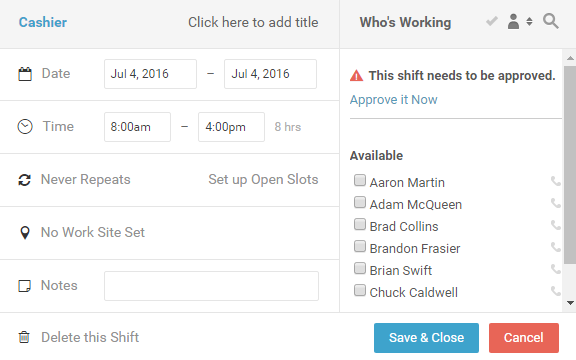 Auto Approve Shift Requests: This would auto approve/reject employees' Open Shift Requests'.